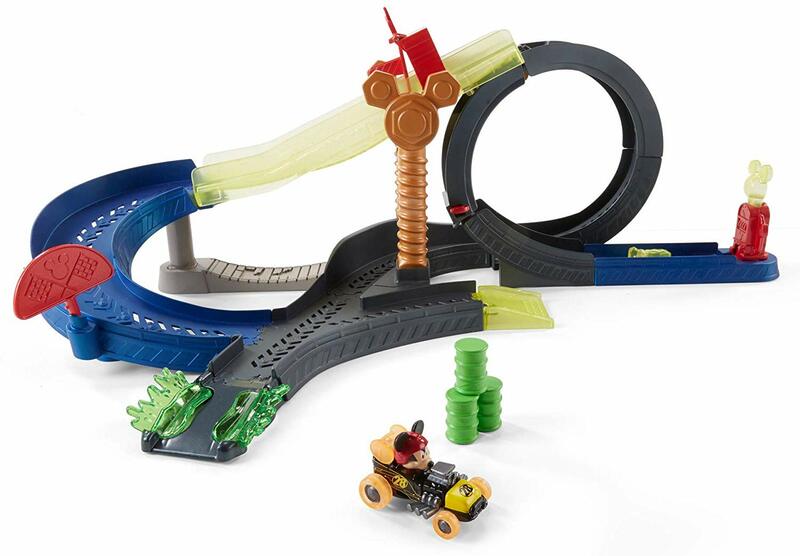 Amazon has the Fisher-Price Disney Mickey's Wild Tire on sale for just $9.99, down from $39.99 and shipping is free. 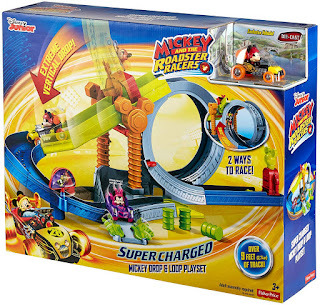 Disney Junior's "Mickey and the Roadster Racers" Super Charged Drop, Loop & Race Playset features two ways to race with two gravity defying stunts. Race up the extreme vertical drop-down track, or around the 360° loop-de-loop! Speed past the spinning obstacle and crash through the barrels to the big splash finish.